The Cambridge Folk Festival's prestigious reputation for quality music in intimate surroundings means tickets always sell out very quickly. The music is much more than traditional folk.  The 50th festival will be taking place from Thursday 31st July until Sunday 3rd August 2014, at Cherry Hinton Hall Grounds, in Cambridge. Fhe full line-up includes Van Morrison, Sinead O' Connor, and Newton Faulkner will headline, plus Ladysmith Black Mambazo, former member of Drive By Truckers Jason Isbell, Lunasa, and Sarah Jarosz, Eddi Reader, Aly Bain & Phil Cunningham, Oysterband, Julie Fowlis, The Fisherman's Friends, Michael McGoldrick, John McCusker & John Doyle, Peatbog Faeries, North Mississippi Allstars, Hot 8 Brass Band, Yves Lambert Trio, Belinda O'Hooley & Heidi Tidow, Phillip Henry and Hannah Martin, Jim Moray's Silent Ceilidh, Brian McNeill, My Darling Clementine, Whapweasel, New Rope String Band, The Rails, Old Swan Band, Megson, The Young'Uns, The Mischa Macpherson Trio, Richard Thompson, Afro Celt Sound System, Cara Dillon, Pokey LaFarge, Catrin Finch & Seckou Keita, Skinny Lister, Hat Fitz and Cara Robinson, Pokey LaFarge, Rosanne Cash, Loudon Wainwright III, Johnny Flynn & The Sussex Wit, David Bromberg & Larry Campbell, The High Kings, Hudson Taylor, Moulettes, Molotov Jukebox, Hazmat Modine, Ezio, Calan, CrossHarbour, Naomi Randall with Tom Gaskell, Keston Cobblers Club, Lady Maisery, Maz O'Connor, Adam Holmes and the Ember, C.C. Smugglers, and more. Peggy Seeger is no longer able to appear due to unexpected health problems. Plus The Full English featuring Fay Hield, Seth Lakeman, Martin Simpson, Nancy Kerr, Sam Sweeney, Rob Harbron and Ben Nicholls performing seminal early 20th century folksong. Tickets were priced at £138 (SOLD OUT) for a full adult festival pass (not including camping), and a concession full festival pass is priced at £104 (SOLD OUT). Children aged 5-15 years tickets is priced at £39, and children aged 4 and under can attend for free. Day tickets are priced as follows - Thursday £21 (SOLD OUT), Friday £50; Saturday £60 (SOLD OUT); and Sunday £60 (SOLD OUT). Camping is available for full festival ticket holders only, priced at £38-£56 per 2-3 berth tent. A mini van (upto 4.5m x 3.5m) pass is £38, and a caravan pass is £76.